Ron Dawson‘s earliest experience with film came through a time traveling caper film he created when he was a kid. Unfortunately, like many creatives, “real life” aspirations took over. Instead of following his passion for film, he followed his interest in business. Ron’s first endeavor in business was attempting to buy and sell businesses with his cousin. Although this idea did not work out, it gave him a taste of the business world. After failing to launch his business buying venture, and graduating with a business degree from UC Berkley, Ron got a job at Screen Play Systems. After some time there, he later moved up to become a business manager at Intuit. While working for these different businesses, Ron was also working as a wedding videographer on the side. This was a pivotal crossroads for him. He could either continue with his six-figure salary, or he could venture out on his own. Instead of continuing to work at a high paying job he didn’t love, he chose to do a job he did love, making films. In this episode Ron talks about the power of storytelling, putting in the work, and learning on the fly among many other things. One of the things that sets artists apart is their ability to tell a great story. Stories give your work meaning. They impact your audience in a way that your work can’t do on its own. Ron believes his ability to tell a story set his work apart from other wedding videographers. Instead of just documenting the wedding, he got to the emotional truth of the moment. The ability to tell a good story allows you to connect with anyone, even if they aren’t naturally connected to what’s happening on camera. Ron realized that anyone can document an event, but not everyone can tell a story that makes an impact. Being able to tell a story through your art makes a huge difference. It allows you to connect directly to the moment. I’ve talked a lot about how the perfect moment does not exist. It’s a lie we tell ourselves so we don’t have to put in the effort. But you will never get anywhere if you continue to wait for the perfect moment. You just have to walk through that open door when the opportunity presents itself. Don’t wait until you have the right amount of money or equipment for the job. There is no right formula. The perfect moment doesn’t exist. Get started where you are with what you have. The best way to make progress with your business is by building momentum and learning by doing. Don’t make excuses. Just do the work. 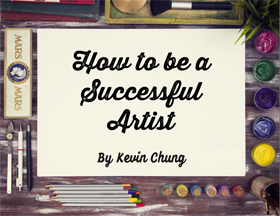 We’re all guilty of placing blame for why we haven’t found success as artists. One excuse we like to use is saying we don’t know enough. “I don’t know how to do that” is a phrase commonly heard among artists. The only way to learn is by doing. You have to put yourself out there. Like Ron says, if you want to be a filmmaker, start making films. I know everyone wants to be prepared before they get started. But you can’t prepare for everything. There are some things you can only learn by doing. You have to learn as you go. The point is you have everything at your disposal to become a successful creative. Stop making excuses for why you can’t do something. If you truly want it, you have to put in the effort to achieve it. 45:05 “I always like to ask the potential client first what their expectation or ballpark is, then… I usually give them three options, a high, a medium, and a low, a good, better, and best, and kind of go from there.